Dr. Hector Garcia shaking hands with President Lyndon Baines Johnson. 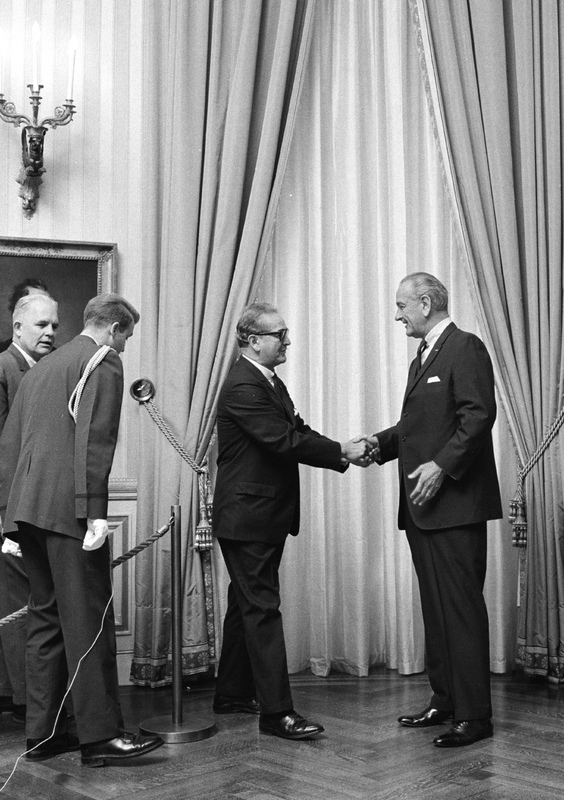 Reception honoring Latin American officials, Blue Room, White House, Washington DC, 4/23/1968. Photo # 9679-32 by Frank Wolfe. White House Photo Office collection, LBJ Presidential Library, public domain. LBJ Connection: Texas friend and supporter of LBJ; Founder, American G.I. Forum; Special Ambassador to the inauguration of the President of Venezuela, 1964; U.S. Representative to the 22nd General Assembly of the U.N.